DAVOS, SWITZERLAND - The heaviest snowfall to hit Davos in decades saw heaps of snow piling up high all around this scenic Swiss Alpine resort. It made for breathtaking sights for the thousands of business and political leaders attending the World Economic Forum meeting over the past week. The experienced skiers among them would have relished the prospects of hitting the slopes packed with fresh powder. Yet, an excess of snowfall also raises the risk of a sudden avalanche, when snow can come crashing down without warning. This chilling metaphor was heard several times in discussions here, signalling an underlying anxiety among participants about what lies ahead. In the past, after all, few had forseen political shockers such as Brexit, or looming financial crises, lying ahead. So while the news that broke this week of global stock markets hitting new highs and economic growth forecasts being raised was cheered, this was tinged with an unspoken worry about the economic, environmental, social and political fragilities that still need to be minded. At the heart of these concerns are growing income inequalities and declining trust among the people in political systems and leaders. A much-talked about Oxfam study released just as participants were arriving in Davos on Monday showed that 82 per cent of the wealth generated last year went to the richest 1 per cent of the global population while the poorest half saw no increase at all. This year's Edelman Trust Barometer Index, a dipstick into levels of trust in societies, released this week, also showed steep falls in trust in many countries, especially in the United States, which saw a 37-point drop in trust across all institutions. "The United States is enduring an unprecedented crisis of trust," said Mr Richard Edelman, president and CEO of Edelman, who was here in Davos. "This is the first time that a massive drop in trust has not been linked to a pressing economic issue or catastrophe like the Fukushima nuclear disaster. In fact, it's the ultimate irony that it's happening at a time of prosperity, with the stock market and employment rates in the US at record highs. The root cause of this fall is the lack of objective facts and rational discourse." Lamentably, the study also found that the media is now ranked as the least trusted institution globally, distrusted in 22 of the 28 countries surveyed. Nearly seven in 10 respondents among the general public say they are concerned about fake news being used as a weapon, and 59 per cent say it is getting harder to tell if a news item is fake or is produced by a respected media organisation. This sharp drop stems largely from a decline in trust in media platforms, notably search engines and social media. Amid the proliferation of fake news and false information, trust in journalism has rebounded and is up five percentage points. Credible voices showing expertise have also gained trust, with journalists up 12 points, CEOs up 7 points and technical experts and analysts also seeing a rise in their trust numbers. In contrast, confidence in "people like us" as a source of reliable information has fallen to an all-time low of 54 per cent. Noting that this is both good and bad news, Mr Edelman told a gathering of editors attending the International Media Council session, as part of the WEF meeting: "There is both a challenge, and an opportunity, for mainstream media organisations here, to help establish levels of trust in society." This is significant, as the lack of faith in the media feeds into the public's inability to identify the truth (59 per cent), trust government leaders (56 per cent) and trust business (42 per cent), the Edelman survey had concluded. Making this point in an interview with The Straits Times at the close of the week-long meeting, Minister in the Prime Minister's Office Chan Chun Sing argued that trust has taken a hit because some governments had failed to deliver on the promise of better lives through globalisation and free trade. The spread of fake news on the Internet has also left voters wondering who or what information they could trust. Both of these have undermined trust, he said, as workers who feel left behind wonder if it is their leaders or the media who are oblivious to the ecomomic and social problems they face, or deliberately downplaying their plight. Either way, the political implications are serious, as a report by Swiss bank Credit Suisse released here last Tuesday, titled The Future of Politics, revealed. In it, former British Prime Minister John Major notes how a "disillusioned, disinterested, preoccupied" electorate is "shrugging its shoulders and turning away from politics". "In such a climate, democracy faces a threat from the rise of nationalism. This is not theoretical: in many countries it is a reality. In others, a clear and present danger. "My worry is that democracy is in retreat, stifled by its own virtues. Across Europe, nationalism has gained more than a foothold. It begins with a populism that masquerades as patriotism, but morphs into something far less attractive." 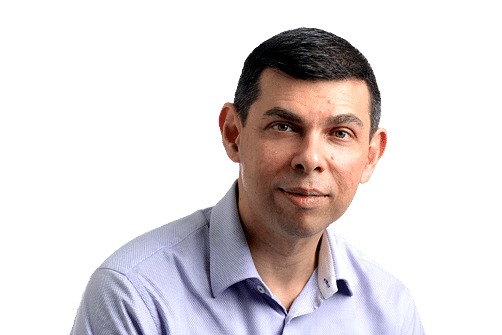 Sharing this rather bleak view, Harvard professor Larry Summers wrote in the Financial Times: "In countries as diverse as the US, UK, Turkey, Russia, Israel and China, it appears that the governmental platform that commands the most popular support is rooted in nativism, nationalism and negativism. Populist nationalism eventually produces bad economic results, leading to more pressures for anti-establishment leadership and for extreme policies. It is far from obvious what reequilibrates the system." Little wonder then that this drift to populism and nationalism was a cause of much concern here among Davos participants, longstanding cheerleaders for globalisation, free trade, open borders and social inclusion. Many speakers took up the theme and called for action to address the underlying causes. The charge was led by the youthful French President Emmanuel Macron, who said it was time to "push back against nationalism and nativism". Delivering an impassioned, hour-long speech, from notes and without teleprompters, he called for a new global compact to address the forces that led to rising inequality and populism, noting his own battles against these in his election campaign last year. "We have a situation where people are being told, on social and financial issues, that the answer is to do less, to cut our taxes, there is no limit, it's a race to the bottom." "If we aren't able to agree on a standard of international cooperation, we will never convince the middle class, the working class, that globalisation is good for them," he said, calling for sweeping reforms of global tax and trade systems to ensure that globalisation works for the common man. He also added that leaders had a duty to speak honestly with their voters about the challenges they needed to address, rather than offering them quick, easy, populist pitches, which ultimately undermined trust. Taking up the line of argument, Swiss president Alain Berset added that the broad sweep of society needed to be convinced that globalisation works for them. "People want to feel they can control the forces of globalisaiton and change. Otherwise, they will use their vetoes at the ballot box. Most people don't oppose openness and change. But they want to feel secure. They want access to economic opportunities." In Singapore, thankfully, trust levels in key institutions, from government to the media have remained high over the years, going by the Edelman findings. Trust in the media in Singapore, at 52 points, is the sixth highest in the world. Mindful of the importance of upholding this trust, the government has convened a Select Committee to study how best to address the challenge of fake news. For, as Mr Chan noted, this intangible aspect of trust, along with delivering tangible benefits as promised, were both critical in building up the people's belief in the system and their leaders. "For Singapore, every generation of leadership, regardless of who forms the government, must firstly be able to deliver a better quality of life and standard of living for the people. People must have the sense that they have the opportunity to realise their dreams, especially for the next generation, their children....Then, there is the question of how you can build trust because you are upfront, forthright, honest about the challenges and options that the country has to confront together." "If we don't manage these two aspects well, then we should not make any presumptions that we will garner the trust of a new generation," he said. This critical importance of leaders meaning what they say and saying what they mean was captured best in the closing moments of this year's meeting. While the participants might not think much of the populist America First approach taken by US President Donald Trump, they listened patiently and applauded politely when he wrapped up his speech, which was surprisingly lacking the fire and fury that some had expected. But they hissed in disapproval when Mr Trump described the media as "nasty, vicious, and fake". The much respected WEF founder and executive chairman Klaus Schwab also raised eyebrows when he remarked that the American president had been "subject to misconceptions and biased representations", and later called his rather lacklustre speech "inspiring". It might have been a passing comment, signifying nothing, but it also made plain how easily trust and credibility can melt away, just like the snow on the ground, as the sun emerged yesterday to glisten on the lovely Swiss Alps, as delegates made their winding way home.